Ann Elizabeth Freeman (1827-1869), the first born child of Evans A. Freeman and Winnie Vaughn, was born in Virginia. The family moved to the Dresden area (District 6) in Weakley Co. sometime before the 1830 census. Evans Freeman farmed tobacco. 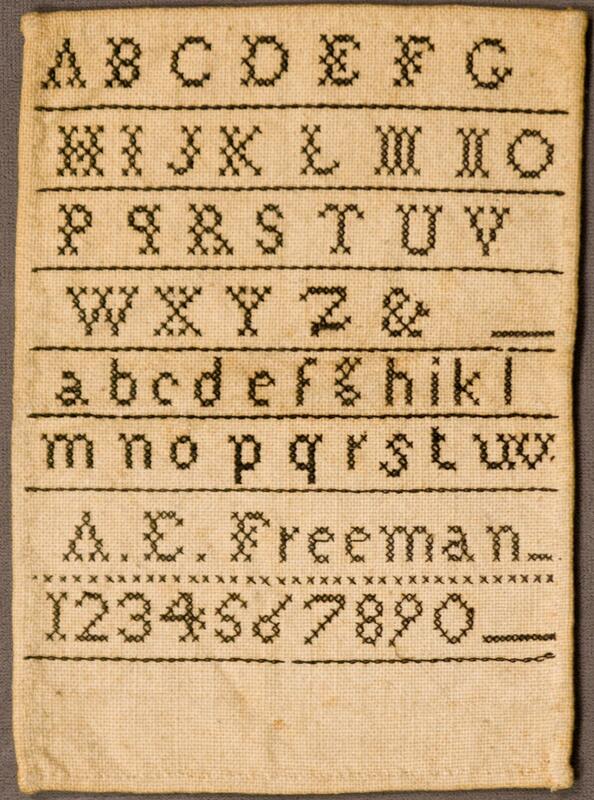 Ann’s basic marking sampler was most likely made when she was seven or eight years old. She may have attended the Dresden Female Academy, which was founded in 1835, but her marking sampler was probably made at home. Ann never married. Ann and her sisters Lucy Jane and Martha are all buried in the Sunset Cemetery in Weakley Co. along with their parents. 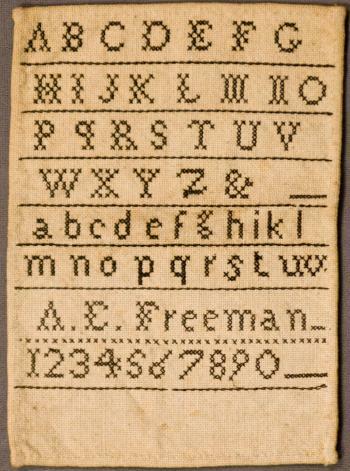 Ann’s simple marking sampler is neatly stitched. It, along with a collection of cross stitched bookmarks Ann worked as an adult, was passed down in the family.